The CCWHA Division I has confirmed its playoff information for the 2019 CCWHA tournament! 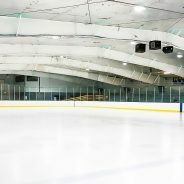 The tournament will take place at Wings West Ice Arena in Kalamazoo, MI on Friday, February 22 and Saturday, February 23. The top 4 teams in the standings after all league play has finished will be invited. Friday evening will see matchups between #1 v #4 and #2 v #3. The CCWHA D1 Championship game will take place on Saturday morning (time TBD).